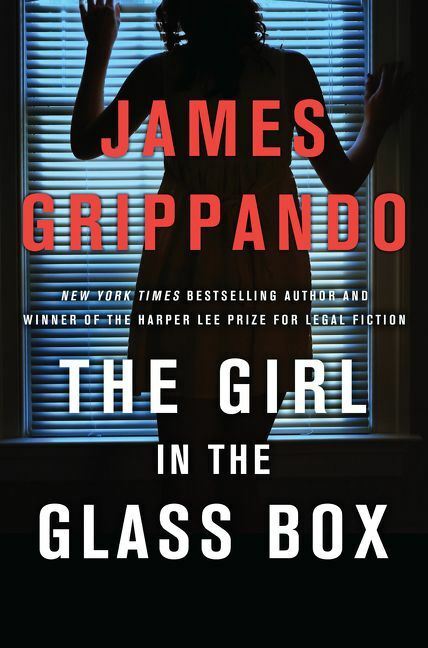 The Girl in the Glass Box is the new novel from author and attorney James Grippando. It is Grippando's 27th novel and also the 15th novel starring Grippando’s Miami-based, criminal defense attorney, Jack Swyteck. Grippando was the 2017 winner of the Harper Lee Prize for legal fiction (for 2016's Gone Again – Jack Swyteck #12). In The Girl in the Glass Box, Swyteck lands right in the middle of the contentious immigration debate when he takes the case of woman who fled the violence of Central America with her young daughter. The Girl in the Glass Box finds attorney Jack Swyteck on a shopping trip/Cuban culture lesson with his grandmother, his “Abuela.” By the time, the visit is over, Jack is representing Julia Rodriguez. Julia and her teenage daughter, Beatriz, escaped bloodthirsty gangs, random violence, and Julia's abusive husband, Jorge Rodriguez, back in El Salvador and now, live in Miami. After Julia rebuffs her American boss' unwanted sexual advances, he sicks ICE (Immigration and Customs Enforcement) on her. Stuck in detention, Julia must rely on the talented and versatile attorney Jack Swyteck, to free her from and to keep her out of ICE detention. However, not only is Jorge in Miami, but also Hugo Martinez, another complication in her life. The bodies are piling up, and danger is even closer to Julia and Beatriz than either realizes. Can Jack and Theo Knight, Jack's best friend and former client, really help mother and daughter? To do so, they will have to put their own lives in danger. THE LOWDOWN: I read my first Jack Swyteck novel, Blood Money, back in 2013 when it was first published. Now, I expect the first quarter of every year to bring me a new Swyteck thriller. Although James Grippando does publish a book annually, sometimes he delivers a book that is not about Swyteck or does not center on him. I thought last year's A Death in Live Oak was probably Grippando's most daring and thrilling Swyteck novel to date. While it may remain so, The Girl in the Glass Box is now Grippando's most thrilling. It moves fast and is like the prose equivalent of an action movie car chase. The last 120 pages (Chapters 48 to 77) are pure pot-boiler, except the pot isn't sitting on a stove; it's being heated by a flamethrower. I read these chapters as if my life depended on it. I just couldn't stop, and I stayed up into the wee hours of the morning to finish The Girl in the Glass Box, one of the most effectively thrilling legal thrillers that I have ever read. Holla! Grippando always accounts well for his lead character, Jack, and his close family and friends, but with The Girl in the Glass Box, Grippando focuses in on what are essentially the guest stars in this novel: Julia, Beatriz, and Cecilia (Julia's sister), especially. This mother-daughter-sister-auntie dynamic is a kind of a love triangle, and Grippando delves into the complications that are natural to such a relationship. The author also depicts the reality that these women are recovering from a traumatic past. I wondered where James Grippando would take this series after the complicated and poignant ending of A Death in Live Oak. The Girl in the Glass Box shows that both the author and his star are just hitting their strides. I READS YOU RECOMMENDS: Fans of suspense, crime fiction, and legal thrillers will find that The Girl in the Glass Box is a must-read.